***There is a PS with a brief explanation of my absence! But here is the post that led to my 4 day break despite having wonderful posts planned out! I got my husband to tag along with me to a craft fair! You have heard (read) about this before! But this time my hubs was my plus one! Most men would not brave this truly chick date, but my husband was awesome! And, my hubs even scored a bit. He got a brand new custom fitted leather belt! So cool! Thanks to One Star! So far this has become my favorite belt that i have seen him wear! It really is great! Then we TOTALLY stopped at the Cool Haus Ice Cream Sandwich Food Truck!!! And we each ordered our own sandwich! Overall it was a fun day and my hubby said he would even go back! It wasn't so bad for a guy, but it sure was great! PS. You will notice this post is filled with photos! i was so excited because i actually got some cool looking ones. I came home and got my post ready to post and then began to add my photos. Lo and behold, i had reached my FREE limit on Picasa. For those that may not know Picasa is linked with you Google account and hence anything you post to blogger (photo-wise) gets added to there if the pics are uploaded from your own files on your PC OK so then i realized that i had not changed hte sizing on any or my pics and so, with 654 photos i thought that resizing was gonna just take way way too long. Well this was of course on top of us trying to find a new place to live and then led to me feeling WAY overwhelmed. This week has been interesting, that is for sure! Cause even now as i type this I am home "sick" because i had to take my hubby to the ER this morning! PTL he does not have kidney stones, an appendicitis, or even a hernia. Just some stinking virus that has cause a huge amount of pain for him in his lower right tummy! Anywho, to make this PS a little longer, I'm just gonna say that the photo problem is being worked on at a snails pace, but will be resolved eventually. More to come on that, i think. Maybe a tutorial? Who knows! I should have re-sized my photos before i hit my free space limit on Picasa! Until i can get more space made available, this site is under a bit of construction. My posts will be at a minimum! Sprawl is everywhere in Southern California, where i grew up. I have lived in a handful of cities in Orange County, CA. and only once have I lived out of this county. (And even then i was back to Orange County at least a few times a week!) I am not a huge world traveler, though I have done my share of traveling, but to me, living in this same place for my whole life truly says how much I love it here. It may not be terribly spectacular, like many may imagine of a SoCal life style, but it is what it is! Head on over and link up you're post too, or just check out everyone's hometown for yourself! There are several old town areas that I just cannot get enough of. They are pictured below in the with my most favorite towards the top! I love the closeness to the mountains, desert, and beaches! 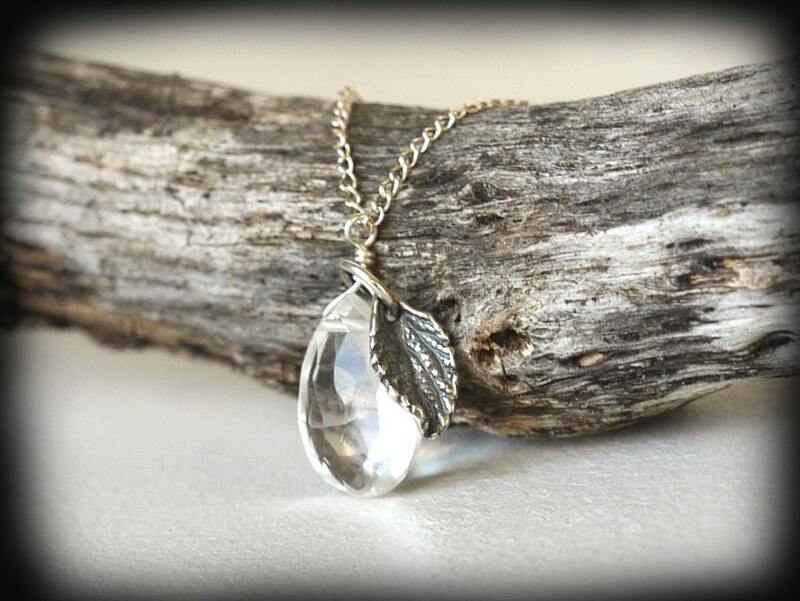 Here are a few that are awesome! Like Disneyland and Angels Stadium! Yep, these are a couple reasons that I love this place! Here are my shots from our trip to the happiest place on earth last night! If you have been in a place for long enough you come to know and love the history of that place. You also get to know a lot of the ins an outs! I sure can get myself around in this town. It makes it easier to get out of traffic when you know a place! This country has some great eats and I sure would miss a few spots if I had to leave! Wouldn't mind a Lemon Heights from this spot! And of course my weekly spot for yummy treats, fresh food, and friendly service! Overall, this is the place where I have been a child, learned a few lessons, and built a community around me. It is home and it is where I will stay to raise my kids. Sure, there are some negative parts to living here, but overall, I am not displeased. Hope you enjoyed my home town a bit! If you are home for thanksgiving, I hope you are enjoying all that you love about your home! I hope you are making new memories in your hometown than were already there. Labels: Balboa Bar, Disneyland holiday, Irvine Spectrum, Old Towne Orange, orange county, The Lime Truck, Tustin Brewing Co.
warning: This post is a bit of a rant on Black Friday Campers, but it turns out pretty good in the end. OK, so then what does grateful mean? 1. warmly or deeply appreciative of kindness or benefits received; thankful: I am grateful to you for your help. 2. expressing or actuated by gratitude: a grateful letter. 3. pleasing to the mind or senses; agreeable or welcome; refreshing: a grateful breeze. So much of thanksgiving seems to be overlooked these days. Can you believe that people started camping out for Black Friday sales on Monday morning? Um hello!?! Are you gonna leave your post to celebrate the NATIONAL holiday tomorrow? Or just celebrate the holiday from your tent on the sidewalk!?! Or better yet just skip the holiday altogether? That makes me wonder and frustrates me a bit too! I don't think a good deal is worth camping out for, fighting for in a store, or sleeping on a cold, hard sidewalk for. This is my opinion and it may upset you, but I feel that a NATIONAL holiday is meant to be spent actually celebrating what the holiday was intended for. In this case the holiday is thanksgiving, a time when we express our gratitude and thankfulness. The above mentioned definitions clearly state that it is a time "accentuated by gratitude." So, does one who sits on a sidewalk waiting for a store to open have a life accentuated by gratitude? It seems like it would be the contrary. It would be a life accentuated by greed and want. These are the thoughts that run through my head as we head into yet another holiday where the news porters are quick to report on the shopping trends that we as Americans have. So with all that said, I am thankful for much and I am striving to live a life "accentuated by gratitude." Today I am officially a "Literary Junkie" because I am participating in a new monthly link up with Taylor and Lesley. 1) What book are you currently reading? Give us a little synopsis and your review. I just started "Gone Girl" and am really excited about this book! It seems really intriguing so far. It is a mystery that is about a husband and a wife where the wife disappears. Each chapter is from either the wife's perspective or from the husband's perspective. So far, it is interesting and I am waiting for it to get to where I cannot put down! 2) What are your 3 favorite books of all time? My first favorite book of all time is from my favorite author, John Irving! I love his book called "A Prayer for Owen Meany. "It was a book assigned to me by my senior English teacher! I loved the book! To this day it is one of my faves! 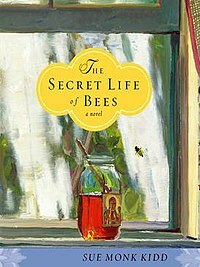 The next book that is in my top three would be "The Secret Life of Bees" by Sue Monk Kidd. I really love literature that takes place in the time period of the 60s. It love the way life seemed to be! 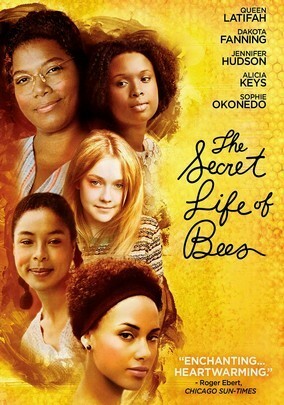 This is a great story about a young girl who leaves her abusive father to live with three amazing black women.Have you seen the movie staring Dakota Fanning and Queen Latifa? The last book in my top three is "The Help" by Kathryn Stockett. I love this book and in my last 100 pages who reading it, I actually slowed down in my reading to make sure it would last longer! I truly fell in love with Skeeter and Abileen! I loved every part of this story and hated what each character hated as well! It was such a good book! I highly recommend this one, for sure! 3) What is your "approach" upon entering a bookstore? Where do you immediately head after entering through the front door? When I enter a book store, I go straight for the new paperbacks! I also look for the books that have been recommended by employees of the book store. I know Barnes & Noble does this and I often enjoy reading the commentary on each book. I can't say it has pushed me one way or the other when it comes to my choice, but it is fun to read! I also like to check out the biography new releases and then head to all the wonderful fiction! I also really like to look at the Abel's where they display books being read by local high school students. It is neat seeing some of my faves get added and also remain on these lists! I then usually rund it my visit with a trip to the clearance and also to check out the journals! So, what are you reading? What are your favorites? How do you attack a book store? Don't forget to see what others are reading!